The word "tiramisu," the name for the quintessential Italian dessert, translates to "pick me up," a fitting name for the rich, espresso-soaked cookies inside the dessert. Layered with chocolate and creamy mascarpone cheese, tiramisu is best served after several hours of refrigeration, so the layers can meld together. Traditional recipes call for lady fingers, but Italian Margherite cookies are a suitable alternative when you can't find lady fingers. The purpose of cookies in tiramisu is to soak up the strong espresso, which softens the cookie and melds with the layers of marscapone cheese to give tiramisu its signature coffee flavor. The cookies should not be completely soaked in coffee, but should remain dry in the center. As the dessert sets in the fridge, the inside of the cookies soften more, but leaving the insides dry prevents everything from turning to mush. Lady fingers are light, airy sponge cookies that are squeezed onto a tray in thin lines before baking. 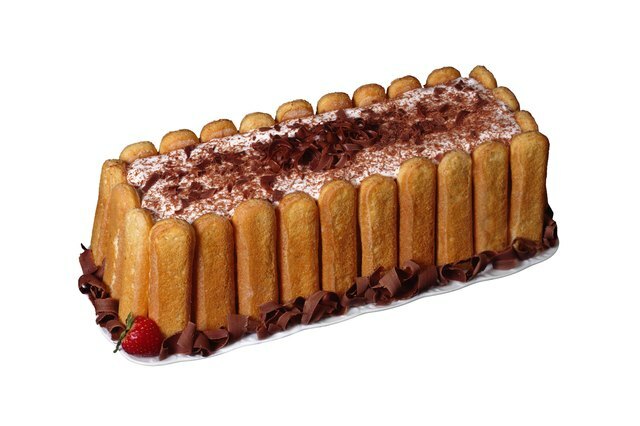 Early bakers thought the baked result resembled a lady's delicate finger, hence the name "lady fingers." The spongy texture absorbs espresso easily while retaining its shape, but keeps the tiramisu from becoming too dense. Margherite cookies are a style of vanilla-flavored cookie bar named for a sister of the company owners. 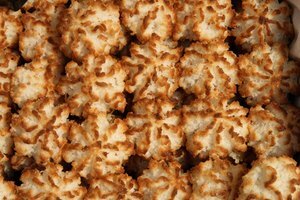 The cookie bars are similar in shape to lady fingers, long and rectangular with rounded edges, but the top of the cookies have a wavy pattern. Margherite cookies are denser than spongy lady fingers, with a texture similar to vanilla wafer cookies or butter cookies. They are like the classic dipping cookies served with coffee in Italy, which makes them an ideal stand-in for traditional lady fingers. It only takes about 2 to 3 seconds for spongy lady fingers to soak up enough espresso for tiramisu, while Margherite cookies may soak as long as 10 seconds to achieve a similar effect. The outsides of the cookies should be soft to the touch, while the inside remains dry. 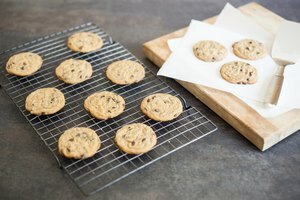 Soak a few cookies for different lengths of time, starting at only about 5 seconds and steadily increasing the time until the desired level of soaking is achieved. Break open the cookie, so you can see the center of the cookie after each test. 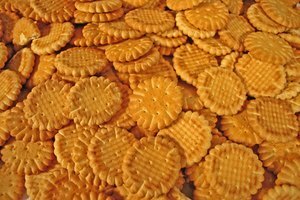 This is the only adjustment you must make to your original recipe when substituting Margherite cookies for lady fingers.